If you would like to know how to browse privately in Chrome, follow the steps below. 2. Press the page button (menu) next to the address bar. 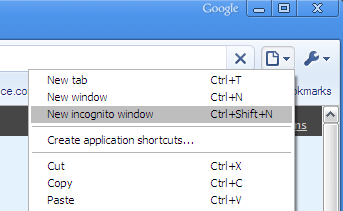 A new window will open in incognito mode which will allow you to browse the web privately and will not store any browsing history or information on your computer.